So it was with much dismay and gnashing of teeth we discovered Barney’s. . . closed! For 4 days! Passover holiday. In one fell swoop my heart sank to the soles of my shoes. With much dejection and cursing we moved up the block to find something, anything to eat. Convinced nothing we’d consume would equal the joy of Barney’s smoked fish. That is until we came upon the Popover Café. Whoulda thunk? We’d spent so many years making the journey to our Jewish food mecca we’d overlooked this gem. A lovely diner with French bistro-inspired décor featuring popovers the size of your skull. With strawberry butter. At that moment I determined I could no longer live my life without popovers. I came home, purchased a popover pan, and set to making them almost every weekend. With varying levels of success. 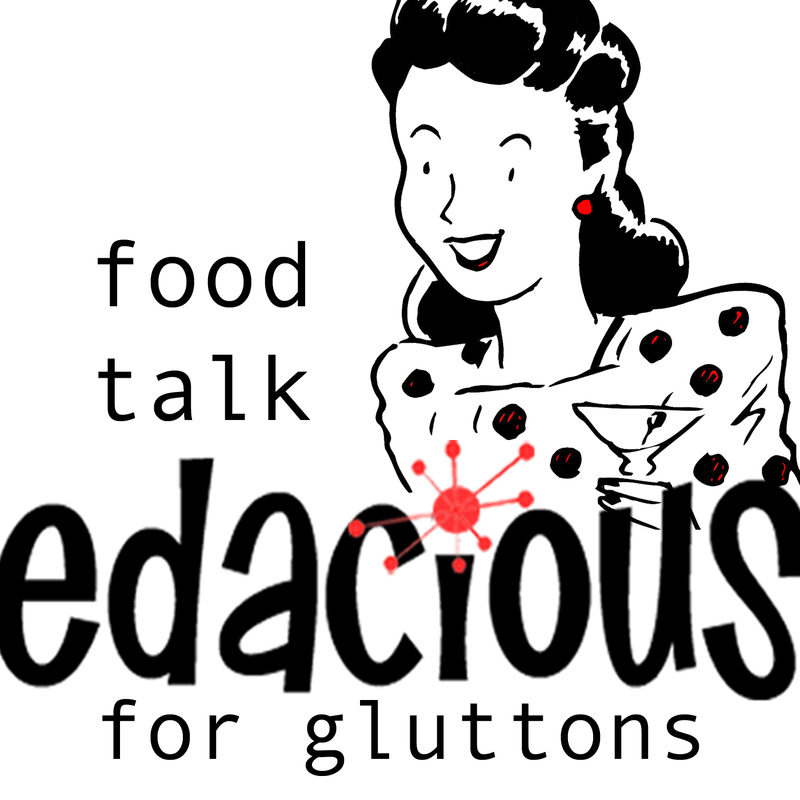 Because while the recipe is easy-peasey, popovers are persnickety fellows. Sometimes they deign to rise, sometimes they don’t. But they ALWAYS taste great. Perfect for brunch. And so damn easy, you really have no excuse. Hell, half the fun is seeing how far up they’ll go. They’re never as huge as the Popover Café’s monstrosities*, but pretty damn tasty. For brunch tomorrow perhaps? Preheat your oven to 425 degrees. Mix all ingredients together in a blender. 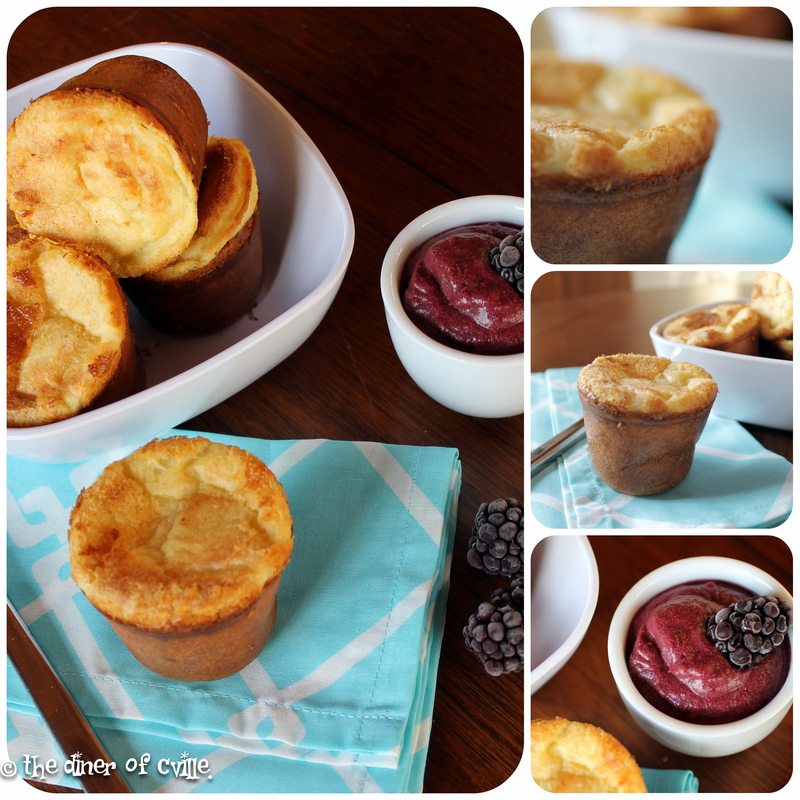 Use a popover pan, ramekins, or ONLY the outer cups of a muffin pan. I purchased my popover pan from Bed, Bath, Beyond for about $15. Fill each cup 2/3-rds of the way full, although I sometimes find they rise higher if you fill them only halfway. Bake in oven for 20-30 minutes until risen and golden brown. 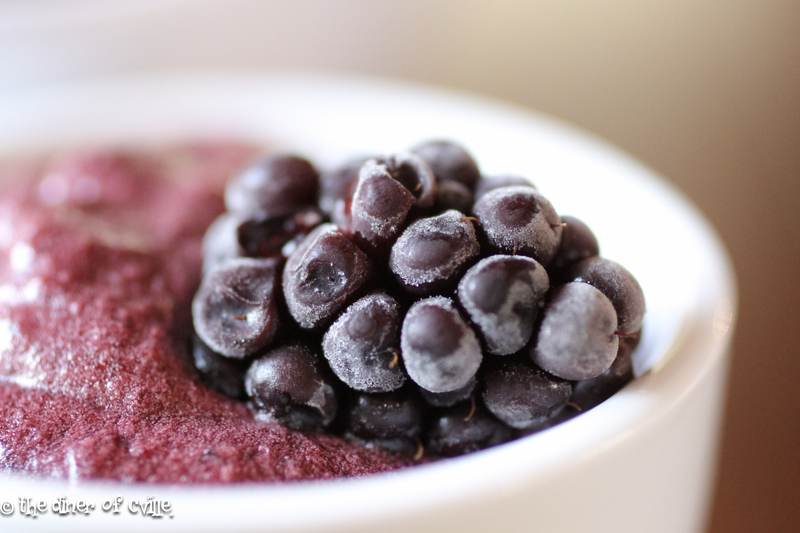 Serve with blackberry butter (recipe below). Blend all the ingredients until mixed well. Adjust honey, lemon, butter, and berries to taste. This is a total experiment in tasting and readjusting. Sometimes I get it right the first time, sometimes I need to add more berries, sometimes more butter. The result should be creamy, dark, and sweet. Also works well with hulled strawberries, raspberries, blueberries. Chilling for about 10-20 minutes in the fridge helps meld the flavors before serving. *I’m still trying to figure out what they bake them in to have them come out so HUGE!